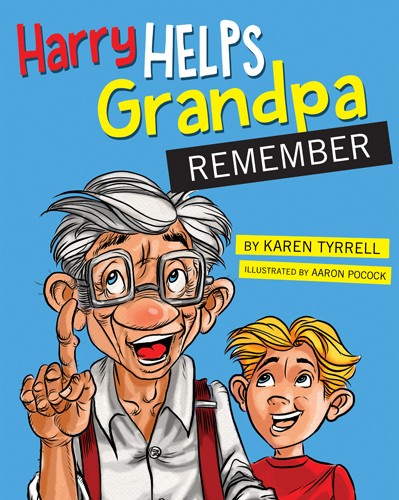 Congratulations to award-winning children's author Karen Tyrrell on the release of her new picture book Harry Helps Grandpa Remember. 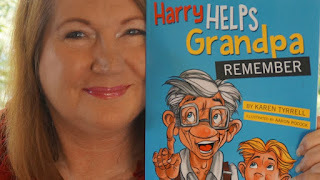 Karen is doing a blog tour to celebrate the release of her wonderful new picture book, Harry Helps Grandpa Remember. Today, Karen is visiting my blog to answer questions about how to develop classroom resources. Thank you, Karen. 1. 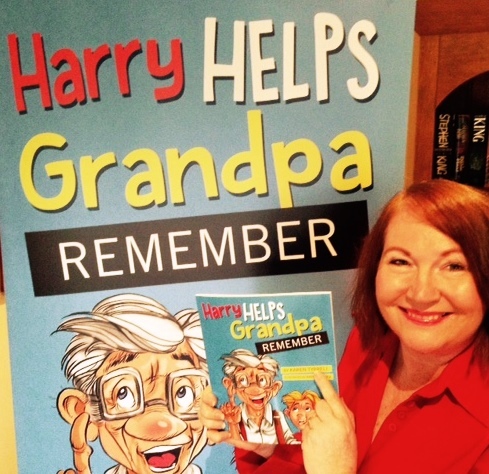 How can Harry Helps Grandpa Remember be used in the classroom? 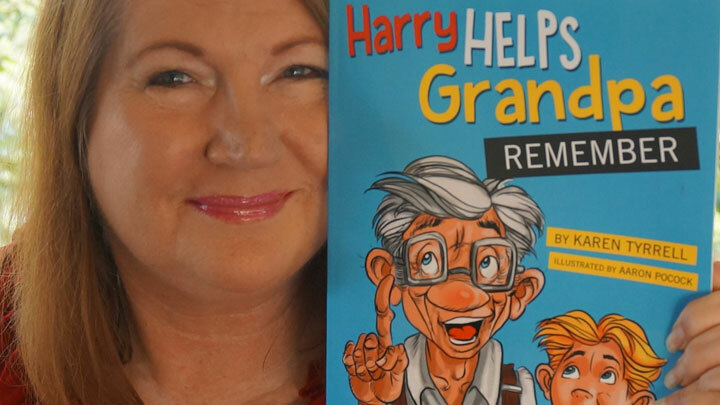 “Harry” is a read aloud fully illustrated picture book that can be shared with children to kick-start discussion on the clever ways Harry boosted Grandpa’s memory. Then you can ask the children: How does Harry help Grandpa remember? Later you can broaden the discussion to memory loss, memory boosting, brain health, grandparents, aging, and coping skills. All these suggestions should be listed in the teacher notes, and be available for free from the author’s website. 2. How to Create High Standard Resources for the classroom? Research! Find similar books and research their activities. If you’re a teacher, you’ll probably be able to produce teacher notes and activity sheets yourself. For more advanced activities like puppet making, jigsaws, and dot-to-dot you may need to sub-contract to a graphic designer, who will develop the activity sheets from strong vector lines on the illustrations. Please remind your illustrator to produce these vector lines as they go. 3. Who should use Harry Helps Grandpa Remember as a resource? Besides children in general, teachers, counselors, and librarians, families with specific needs can use “Harry” to support children who may have a family member who is facing challenges or are seeking solutions. 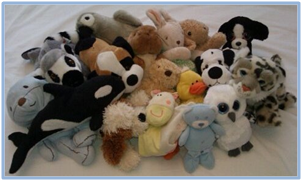 Adults such as Aged Care Workers or Carers can a use “Harry” as a resource to explain to children what their role is. 4. 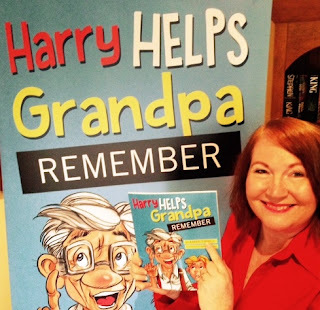 How can Harry Helps Grandpa Remember be used as a resource on Grandparents Day? The teacher reads “Harry”, following up with discussion on memory loss, aging, brain health, and/or heart health. After that, children choose from a selection of children’s activities including puppet making, dot-to-dot, cut and paste story sequencing, and various activities that promote thinking skills and problem solving. Please leave a comment on any of the sites above for a chance to win a signed print copy OR 5 eCopies of Harry Helps Grandpa Remember. 6 Copies to be won in total. Six Winners announced on 3 July. Good luck. Karen Tyrrell is an Australian award winning resilience author-teacher of five empowering books, a motivational speaker and workshop presenter. Karen is a survivor of parent-teacher bullying , PTSD and mental illness. Her empowering adult books include Me and Her:A Memoir of Madness and Me and Him: A Guide to Recovery. Her children’s books include Bailey Beats the Blah (coping skills picture book) and STOP the Bully (bully prevention mid-grade novel). Karen has appeared on TV Today Tonight, the Courier Mail, and on ABC and 4BC radio. 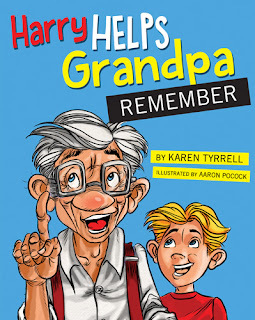 Harry Helps Grandpa Remember picture book is now on Amazon world-wide as a print book and as an eBook. Author Karen Tyrrell is celebrating with a FUN Blog Tour! To celebrate, Harry will be visiting these AWESOME author sites on a blog tour. Many of these authors are top Australian children’s authors or upcoming authors. 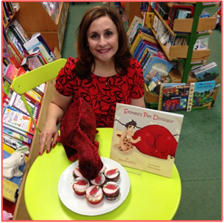 Naomi Burman-Shine is the English author of Stonely’s Pet Dinosaur, which recently won the silver medal in the pre-school picture book category of The 2014 Wishing Shelf Independent Book Awards. Naomi’s fun and colorful rhyming book has also been nominated for a prestigious annual UK book award: The 2015/2016 People’s Book Prize. 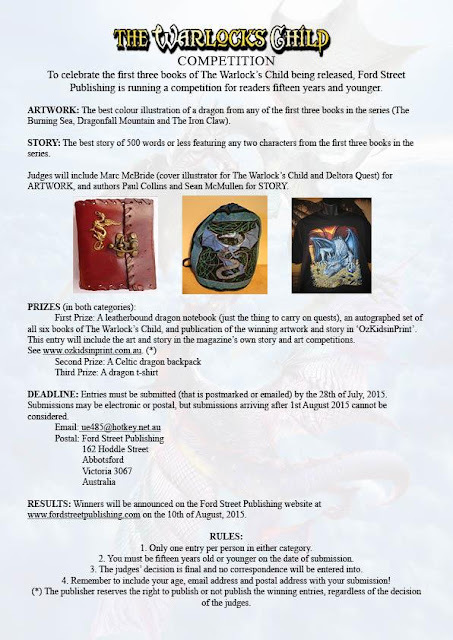 This national competition was set up to find, support, and promote new and undiscovered authors. It is judged by the general public only, so please help Naomi’s book reach the finals by visiting The People’s Book Prize website and voting. Stonely’s Pet Dinosaur is being showcased in the children’s category of the 2015 summer collection of The People’s Book Prize, and the general public can vote between 1st June and 31st August 2015 by visiting The People’s Book Prize website. It only takes a few minutes and is free! Thank you! A big thumbs-up for rhyming picture books! Robyn: Why did you start writing picture books? Naomi: Picture books are fabulous for sharing, and I love the experience of reading picture books to – and with – my two young sons. These beautiful books transport us into a magical world where we can set our imaginations free. Not only were my boys captivated by the wonderful words and pictures in these charming and uplifting stories, but I was too. Robyn: When did you start writing? Naomi: I never had a burning desire to become a writer, but I enjoy fresh challenges and as I continued to read picture books to my boys at bedtime, I thought it would be amazing to know that young readers everywhere were tucked up in their beds, just before lights out, listening to – or reading – a book that I had written. I therefore set myself the task of writing a fun children’s story – and so I began my journey to becoming a writer of picture books. Robyn: How did you come up with the idea of Stonely and his pet dinosaur? Naomi: When my sons were pre-school age, they were fascinated by all things dinosaur. At this time, they were constantly asking me to buy them a pet, but unfortunately my husband is allergic to all things furry so I had to appease them by buying them the plush kind instead. 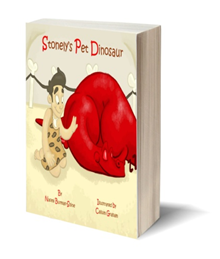 The boys’ interest in dinosaurs, coupled with their constant requests to own a pet, sparked my idea for Stonely, a determined cave boy who longs to own a roaring red dinosaur. Who wouldn't want to own such a cool creature? 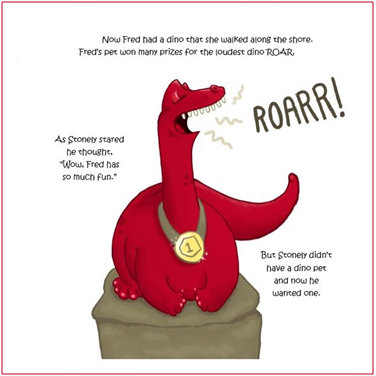 Robyn: Stonely’s Pet Dinosaur is a rhyming text. What made you write this story in rhyme? Naomi: Many of the picture books I read to my sons were written in rhyme. Particular favorites of the boys included Monkey Puzzle by Julia Donaldson (illustrated by Axel Scheffler), All Afloat on Noah’s Boat! 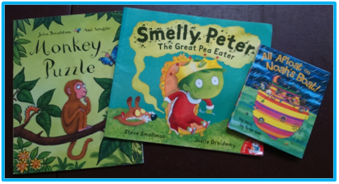 by Tony Mitton (illustrated by Guy Parker-Rees) and Smelly Peter: The Great Pea Eater! by Steve Smallman. Rhyming books are always fun to read aloud. The boys were always engaged and loved guessing the rhyming words at the end of each stanza, which helped build their listening skills and language skills. Rhyming text makes a story lively, captivating, and memorable. As a musician, I love the intrinsic rhythm of the text, which enhances the mood and pace of the story. Robyn: Did you find it difficult to write in rhyme? Naomi: Yes! To write a well-written rhyming book certainly isn't an easy task for a novice writer. I had to make sure that the story wasn't sacrificed because of the need to use rhyming words. Online rhyming dictionaries and thesauruses thus became my best friends. Finding the correct meter to allow the words to fall off the tongue naturally was more of a challenge, and having a great editing team was essential to produce a smooth-flowing final text. I must thank you, Robyn, for all your editing assistance. I would also like to thank my proofreader, Jane Hammett, for casting her expert eye over the text before I submitted my final manuscript to my publishing editor, Sarah Scotcher at Rowanvale Books. Robyn: What advice do you have for aspiring writers of picture books? Naomi: The most important piece of advice I have is to read lots of picture books before putting pen to paper. Analyse the text and the pictures separately, then see how they marry up. Many aspiring writers join writing classes or embark on college courses. 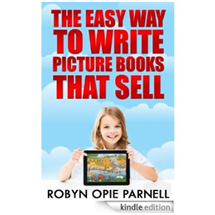 As well as reading various online articles on picture book writing, I read your invaluable book, Robyn, How to Write a Great Picture Book (now available on Amazon Kindle, renamed The Easy Way to Write Picture Books That Sell). In addition, I sent my initial unedited drafts to The Writers’ Workshop, which positively critiqued my work, and I found this process extremely helpful. I would also advise joining the Society of Children’s Book Writers and Illustrators (SCBWI). Their mission is to "support the creation and availability of quality children’s books around the world". 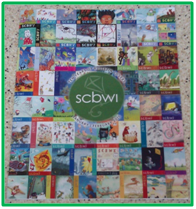 There are regional and network branches of the SCBWI worldwide and each network holds its own events throughout the year. I particularly enjoy reading the SCBWI’s international bi-monthly magazine, scbwi, which features informative articles on writing and illustrating picture books. Lastly, I'm an advocate of social media platforms such as Twitter and Facebook, where many online groups are dedicated to promoting the world of children’s books. I must mention one community, Kid Literature, which is particularly supportive in championing picture books, including my own. 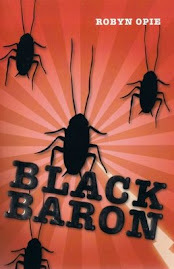 Please check out its website at www.kidliteratureauthors.com – it’s excellent! Robyn: Thank you, Naomi, for generously offering your time to participate in this interview, and good luck with The People's Book Prize. It's an incredible achievement that Stonely's Pet Dinosaur is being showcased. Congratulations and well done! Naomi: Thank you, Robyn. 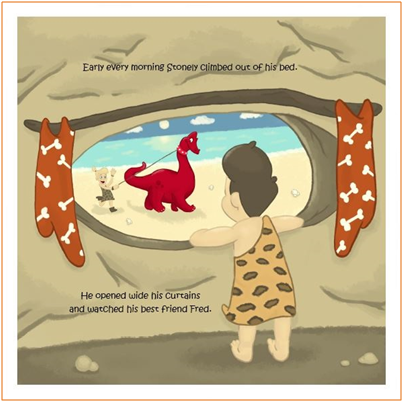 I hope people will vote for Stonely’s Pet Dinosaur, which is being showcased in the children’s category of the 2015 summer collection of The People’s Book Prize, and the general public can vote between 1st June and 31st August 2015 by visiting The People’s Book Prize website. It only takes a few minutes and is free! Thank you!